Some councils have turned empty shops into art galleries. 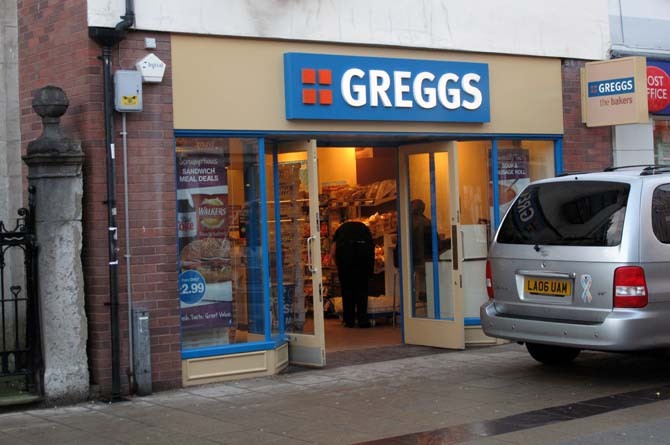 Since just before Christmas we have had bread-substitute (BS) vendors Greggs. It’s only taken me four years decent bread supply to achieve this. That’s probably about as successful as the Real Bread Campagne. No it’s Bangor High Street – but that’s too close for comfort. We’ll probably end up with Bread Pound or whatever it’s called.